During the past decade, the use of highly active antiretroviral therapy (HAART) has led to a significant decrease in morbidity and mortality associated with HIV infection. In one US study of 1255 patients in the early era of HAART, mortality declined from 29.4 per 100 person-years in the first quarter of 1995 to 8.8 per 100 person-years in the second quarter of 1997 (1 . A Canadian population-based cohort study also confirmed that patients initially treated with a triple-drug antiretroviral regimen had a 2.37-fold lower risk of morbidity and death after 12 mo than patients receiving double nucleoside analog therapy in the pre-HAART era (2). 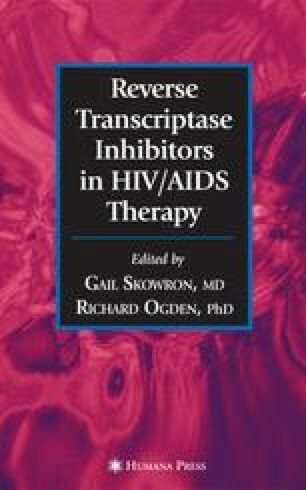 Beginning in 1997, expert panels began recommending aggressive, early initiation of antiretroviral therapy, consisting of combinations of three drugs, with a goal of suppressing plasma viral load to levels below those accurately quantitated using our most sensitive assays (3). It was initially proposed that the maintenance of plasma viral load at such levels for as little as 3 yr may actually “cure” HIV infection (4). Shortly after this hypothesis was generated, it was clearly shown that, in patients in whom eradication of HIV would have been expected to be imminent, live virus was readily cultured from circulating mononuclear cells (5,6). More recent studies have documented that the half-life of the latent reservoir that contains replicantcompetent virus (that would begin replicating after HAART was discontinued) approaches 44 mo; at this rate, its eradication would require longer than 60 yr of treatment (7). Thus, the model-of-care returns to long-term (perhaps lifelong) use of antiretroviral therapy, with careful monitoring of CD4 cell counts and plasma viral load to evaluate the efficacy of treatment.